Direct mail stands as one of the most effective marketing tools around. It’s a proven method that continues to produce. As part of your overall marketing strategy, and combined with other successful tools like business e-cards, email marketing campaigns, and customer retention programs, direct mail will position your business for optimal ROI. A business should have several tools in its marketing toolbox, because each one will generally have a specific target or goal. Direct mail works because it’s uniquely designed to optimize your demographics and target your market niche and ideal customer. And using direct-mail options in your lead generating strategy allows you to market your services and products in a way that ensures success. Prospect your campaigns to customers with similar demographics to your existing customer profile. Specifically target geographically relevant customers, ideal for businesses that rely on local traffic. For businesses that want to expand their reach statewide or nationwide, optimize direct mail options to meet those goals. Customize direct mail tools, including postcards, greeting cards and other mailers, to cultivate a number of goals, including increasing brand awareness, promoting special offers, and producing two-way communication via postage-paid response cards or online response forms. Use direct mail to communicate announcements or anything of importance to your existing customers to ideally position your business to increase customer loyalty and trust. Producing high-quality direct mailings is as critical as the content you send and how you send it. This is not an area where you want to sacrifice quality. Remember, potential customers who receive your direct mail will form an impression about your business from this single point of contact. You should select a program that’s customizable and uses high-quality digital printing, with full variable options to segment your materials according to market demographics. If you’re interested in pursuing a direct mail program with proven results, contact Continuity Programs today. 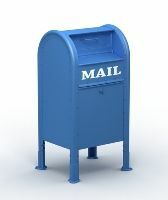 Our SurroundMail and SurroundMail Plus prospecting programs produce a high response rate. Let us put our expertise and knowledge to work for your business and create a company branded program for you. Call us today to find out more about our prospecting programs, and how we can develop a customized, comprehensive, high-ROI direct mail program.